A protocol agreement was signed between the Razak Sports Academy and the Golden Age Soccer Association on Saturday June 2, 2018 in Yaounde. Training young footballers and ensuring their career growth is a major concern for many Cameroonian sports promoters. It is in this light that a protocol agreement was signed between the Razak Sports Academy and the Golden Age Soccer Association on Saturday June 2, 2018 in Yaounde. 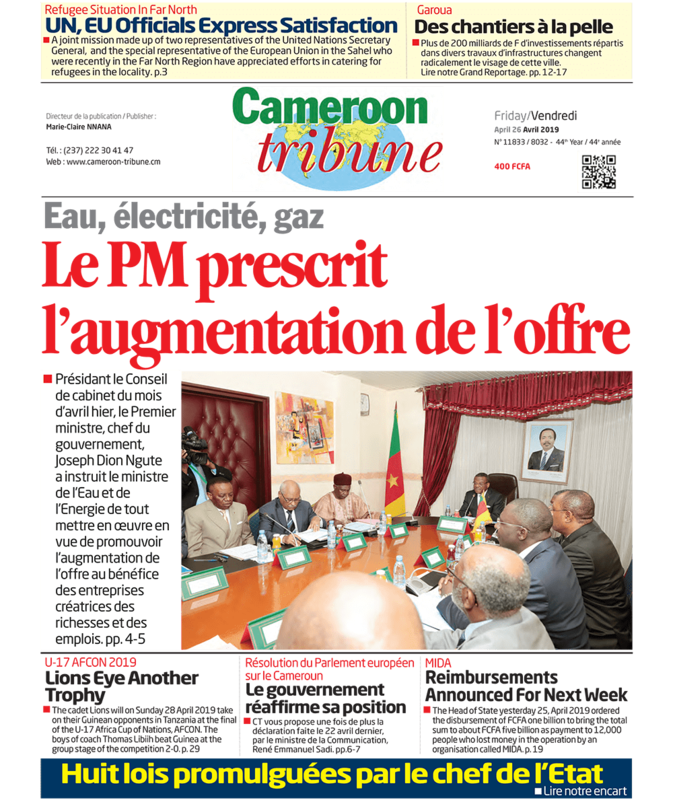 Speaking at the occasion, the President of Golden Age Soccer Association, Ngiejung Nabil said the merging of the two football training centres is to prove to the world that Cameroon is one and indivisible. The two centres, according to him, will benefit from the partnership peace unity, training of youths and not to let the youths to go astray. The Promoter of Razack Sports Academy, M. Abdoulay Abdoulrazack said this is what will make Cameroon that shining light for the world to look upon as an example especially in a world that is full chaos. The promoters used the opportunity to announce the imminent organisation of a national football tournament for youths to be organised by the two centres in the days ahead. The sum of FCFA 10 million will be given out to the best teams. Razack Sports Academy is a sport association based in Mayo Oulo district in the Mayou Louti Division in the North Region. The centre has as objective to help inmates develop their football career and be capable to integrate in the world of entrepreneurship. GOLDAS is an association that works for the development of youths by facilitating employment and development of the community through football.